I’ve been wanting to work on so many projects that you might think I had an attention disorder. Right now on the needles I have a Girasol afghan. I’m nearly finished and the edge lace pattern is a bit boring (but it’ll be worth it!) I also have the cabled poncho for my niece (and another one for her sister) to finish by Christmas. I’ll get it done. (Them done!) And then there is a half-done pair of socks, my daughter’s Christmas cowl and the headband that I promised last winter and, of course, the lobster hat that was supposed to be last year’s partial birthday gift. I think I need a few projects finished before starting anything new. And thus I’ve started a new project. A fish hat. I’m sure you’ve seen it on Ravelry or Facebook or somewhere. 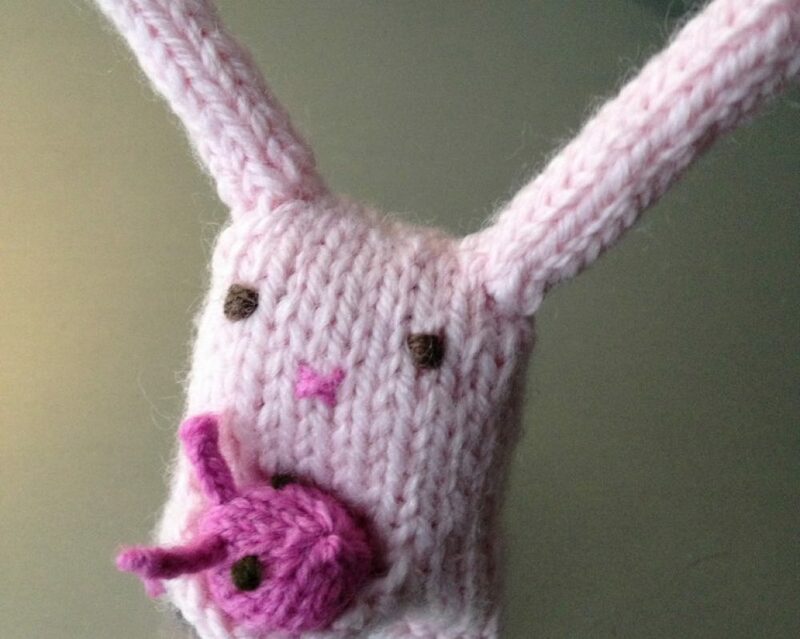 It is a Knitty pattern that has made me laugh several times. Fish Hat (Dead or Alive?) can be found as a free pattern on Ravelry or Knitty. So, when I saw my friend Harry’s bald little head the other day and knowing winter is coming I decided to make a run to the yarn shop and buy some new yarn … My stash is all in storage, remember? I chose good old Plymouth Encore Worsted because it’s soft and washable. And when you’re knitting for children, especially boys, washable is best. My colors are “different” for me but I fell in love with the teal-y blue and had to have it. And I love charcoal gray. The coral and tweedy green were the last add-ins because I needed a bright and something to unite all the colors. I’m knitting with my trusty and well-loved Knitters Pride Dreamz interchangeable needles (US 7). Harry is hairless this winter because he is being treated for Leukemia. He has been such a good sport – he always seems to have a smile on his face despite what many would say are really rough days. Handsome Harry, I hope your fish hat makes you smile! It makes me smile to do something for these sweet boys. Gone knitting!